Ridley Aura SLX Ultegra Di2 Womens Carbon Road Bike is no longer available at Merlin Cycles. However you may find an alternative or updated product below. The Aura frame is Ridley’s ultra-gourmet women’s bike. The female-spec’d version of their Helium frame, it is simply at the highest level when it comes to stiffness to weight ratio. Designed it to be as light as possible to tackle the longest, steepest climbs yet stiff and durable enough to expertly handle racers putting all their power thorough it in a sprint. The Aura is not only built for the pros, but is designed for anyone who wants to pull everything out of their bike. It’ll help you to be fast on the climbs to grab those Strava KOM’s, fly on the flats and rolling terrain, and sprint like a pro. It’s also comfy enough to keep you motivated to ride long distances to tackle Gran Fondos. 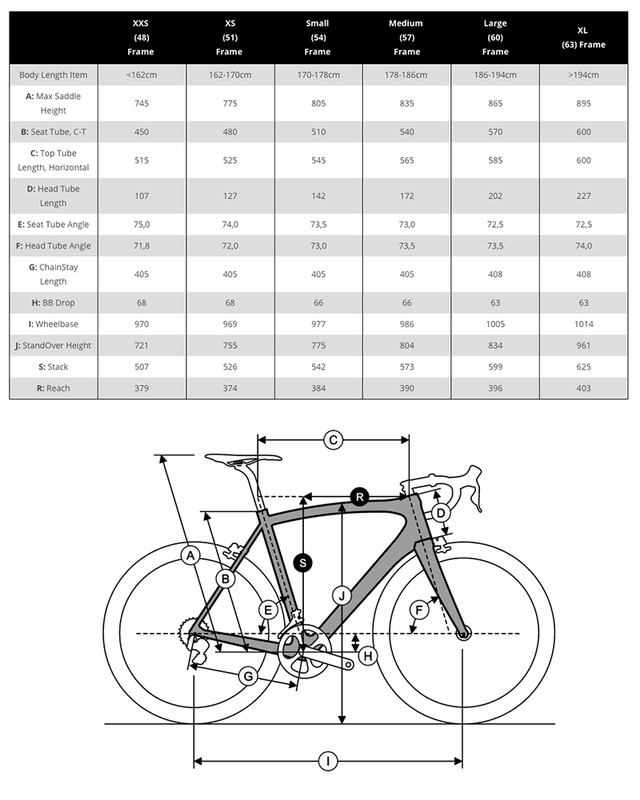 Its slightly longer head tube allows for more bike fit options, especially for those with shorter torsos. Spec’d with female-specific components for increased comfort. Handlebar with shallower drops, slightly shorter stem, anatomically-correct saddle, zero-offset seatpost and user-friendly gearing of 50-34 / 11-28 makes it an absolute pleasure to ride. The Ridley Aura SLX is the the lightest frame of them all, barely tipping the scale at 750g for a size medium. It’s a mixture of 60/40/30-ton high-modulus carbon fibre. If vertical speed is your thing, this is the ideal bike for you. Simply tap on the pedals and up you go! It is also incredibly stable through high speed turns and descents.